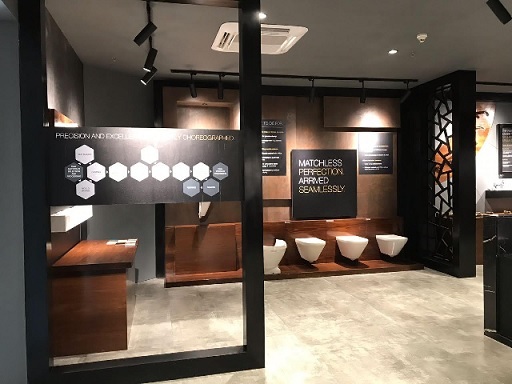 Known for innovative solutions, Kohler Co., a global leader in the design and manufacture of kitchen and bath products, announces the unveiling of its first Tech Centre in India. With the Tech Centre located next to its state-of-the-art manufacturing facilities in Jhagadia, Kohler reinforces its innate ability to stay ahead of the curve by adapting to business and consumer needs. The facility will primarily display latest product designs and take the various stakeholders through the process of manufacturing products that Kohler takes pride in. Kohler has invested more than USD 200 mn in India so far. The facility was inaugurated by Larry Yuen, Group President – Kitchen & Bath for Kohler Co.and Salil Sadanandan, President - South Asia, Middle East & SSA at Kohler Co. The Gujarat Tech Centre is designed in such a way that it shares Kohler’s rich legacy of innovation and design with, be it customers, business associates or new employees being inducted. There will also be a mock up zone to showcase Kohler’s product's superior functional performance. Founded in 1873 and headquartered in Kohler, Wisconsin, Kohler Co. is one of America's oldest and largest privately held companies comprised of more than 30,000 associates. With more than 50 manufacturing locations worldwide, Kohler is a global leader in the manufacture of kitchen and bath products; engines and power systems; premier furniture, cabinetry, and tile; and owner/operator of two of the world's finest five-star hospitality and golf resort destinations in Kohler, and St Andrews, Scotland. (Disclaimer: The above press release comes to you under an arrangement with NewsVoir. PTI takes no editorial responsibility for the same).